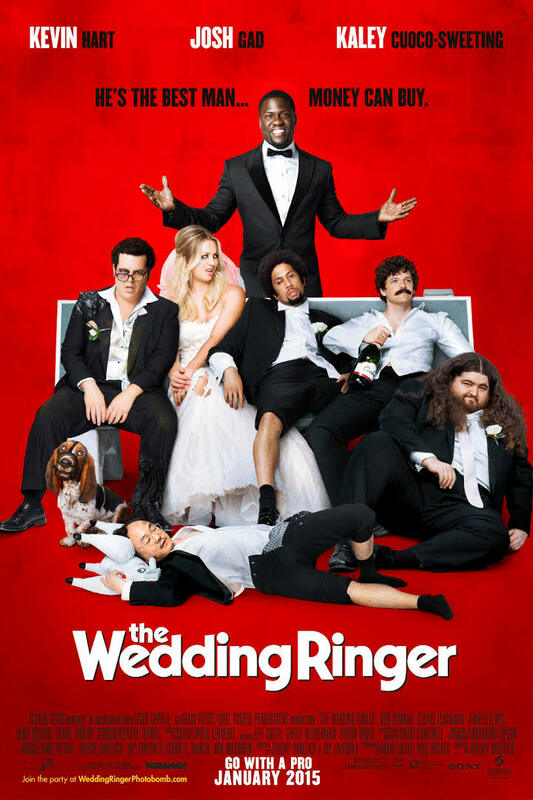 The Wedding Ringer can’t seem to make up its mind about what kind of movie it wants to be: screwball ensemble comedy or heart-warming tale of one loser’s journey to “brodom”. The movie pulls off screwball far better than heart-warming, but only manages to hit the heights when it cleverly plays on and subverts genre clichés rather than slavishly following its pro-forma plot arc. Kevin Hart puts in a solid if uninspiring turn as the eponymous wedding ringer, a best man for hire, but rarely stretches himself – comedically or dramatically. His character Jimmy Callahan is hired by Doug Harris (Josh Gad) to impersonate his imaginary best friend, military priest Bic Mitchum, for his upcoming nuptials with bridezilla (Kaley Cuoco). Gad, in his first major live action movie role, brings enough likeability, vulnerability and quirkiness to keep the audiences rooting for him throughout. But the real stars of the show are the ragtag motley crew of groomsmen that the wedding ringer scrounges up for the big even (“it looks like the cast of Goonies grew up to become rapists”). They manage to get themselves and the unfolding bromance between our two leads into some hilarious, and unlikely, shenanigans, and this is where the real humour is to be found. The Wedding Ringer is a fun but flawed movie that has shades of Hitch and I Love You, Man but can’t quite seem to find the right gear. The movie’s tone switches from almost outrageous comedy (scenes where the bride’s grandmother is set on fire, or the groomsmen compete in a hyper-violent game of American football) to self-aware, from almost winking send-ups (the Father of the Bride-esque wedding planner), to wet-eyed musings on life and friendship. While there are enough jokes and laughter to sustain the plot, it would have been better for director Jeremy Garelick and writing partner Jay Lavender to pick, and stick with, a consistent mood. The bromance at the heart of the story between best-man-for-hire-but-not-best-friend-when-it-counts Callahan and lovable (but insanely rich) loser Harris just about succeeds, but runs pretty much as expected. The movie does throw up a few surprises along the way, and is most fun when it’s sending up genre clichés; unfortunately things are always reeled back before they can get too out of control. This is not the bawdy, frat house laugh-a-minute comedy that it could, and perhaps should have been.